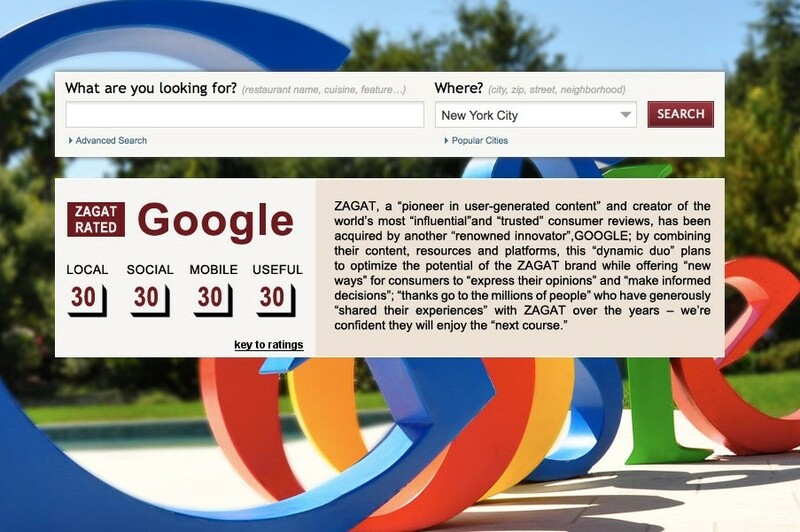 Google (s goog) has bought restaurant ratings publisher Zagat, in a deal whose value hasn’t been disclosed. Marrissa Mayer, the VP of Local, Maps and Location Services at Google, announced the deal in a celebratory blog post that crowed, “With Zagat, we gain a world-class team that has more experience in consumer based-surveys, recommendations and reviews than anyone else in the industry.” What Google seems to be buying with Zagat is a way to bring trusted human recommendations and user-generated content to its local offerings in a format that honors its engineering culture. Their surveys may be one of the earliest forms of UGC (user-generated content)—gathering restaurant recommendations from friends, computing and distributing ratings before the Internet as we know it today even existed. Their iconic pocket-sized guides with paragraphs summarizing and “snippeting” sentiment were “mobile” before “mobile” involved electronics. Today, Zagat provides people with a democratized, authentic and comprehensive view of where to eat, drink, stay, shop and play worldwide based on millions of reviews and ratings. Mobile and user-generated content buzz aside, Zagat is arguably a good fit for Google, which already offers reviews on its Maps/Places sites. However, those reviews were recently stripped down as Google eliminated content coming from other sites because of issues surrounding the rights to that content. With Zagat, Google can theoretically compete against sites such as Yelp (which it has reportedly tried to acquire in the past) by using Zagat’s survey responses and perhaps by continuing Zagat’s practice of bringing in recommendations from social services such as Foursquare. Zagat is a well-known and trusted consumer brand, although it has lost a bit of relevance as a result of free sites such as Yelp and Foursquare, at least for consumers who care most about the mobile and web world. Perhaps Google can get a little more recommendation cachet while also helping bring Zagat onto the web more widely. Zagat also has ties into the physical network of restaurants and local entertainment spots across many of its categories, which will help Google connect with local businesses for its advertising efforts and even daily deal efforts like Google Offers. Google is also in talks to acquire Epinions. Really? What’s next, acquiring the rights to PINE?